BUSRide spoke with experts in the alternative fuel industry about making the switch from diesel: what operators need to know before doing so, financing and common challenges. Furthermore, they spotlight the factors driving innovation in this unique field as agencies make the sustainable transition to future technologies. Why should bus operators consider alternative propulsion? José R. Castañeda: As a leader in natural gas-powered buses for many years, Cummins Wesport (CWI) believes that we have a responsibility to the communities where we live, so we offer an environmental and economical option for bus fleets. Today the ISL G Near Zero engine reduces smog forming NOx emissions by 90 percent. In 2018, we introduce the next generation L9N, offering the same low emissions along with new technology and features. Not only are natural gas engines the cleanest internal combustion technology available today, they offer transit agencies performance and productivity at a minimum cost. Having cleaner air is a benefit we can all enjoy for years to come. Tom Webb: Transit is adopting alternative propulsion for political, environmental and economic reasons. Many governments require alternate fuels for their environmental and public health benefits. The UK and French governments recently announced plans to ban all gas and diesel vehicles by 2040. Here in the U.S., Seattle and Los Angeles have committed to fully transitioning their bus fleets to electricity. Meanwhile, many other fleets are trialing new propulsion technologies. Smart operators will want to get ahead of mandates and control their destiny as well as reap the public relations benefits of using clean propulsion. In which ways does your company provide alternative (to diesel) propulsion options for the bus industry? Castañeda: As a leader in providing natural gas engines for the bus industry, with thousands of engines in operation worldwide, Cummins Westport prides itself on continuing to explore ways to provide better and cleaner products to meet our customers’ demands. Webb: We provide our customers with a manageable, low-risk pathway to fleet electrification by offering them options. There is no ‘one size fits all’ in transit given the wide variety of bus platforms, duty cycles and operating environments. We offer mild electrification options like electric accessories for fleets running conventional transit and coach buses; hybrid-electric options with different degrees of engine off capability for fleets wanting to reduce carbon emissions across their entire fleet today without taking on the expense and risk of full electrification at this time; and fully electric zero-emission choices, including hydrogen fuel cell and battery electric, for those who want the cleanest solution today. What are the steps an agency should take prior to making a commitment to alternative propulsion vehicles? Castañeda: Cummins Westport’s websites – www.cumminswestport.com – and our new Natural Gas Playbook – http://cwiplaybook.com – offer many resources to help new and existing natural gas customers with guidance on evaluating and operating natural gas vehicles. 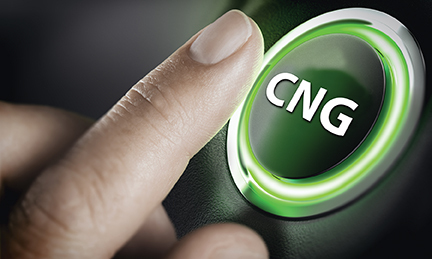 The Natural Gas Playbook site is a step by step guide that walks customers through key items to consider when thinking about alternative fuel engines. In addition to information on our products, we provide tools such as an Initial Assessment Guide, and GHG Emissions and Payback calculators, to help customers understand if natural gas is the right solution for them. The Cummins sales and service team, along with our dedicated regional managers are also available to meet with customers to answer questions and provide guidance. Webb: The first step is to understand current and future local policies in terms of transit, air quality and the environment. Next the agency should undertake a careful analysis of its operational network (routes, schedules, ridership, topography, environmental conditions, etc.) and vehicle performance requirements. Every transit agency is different. Staff should perform a thorough review of the technology offerings available in the marketplace to see how they fit local operational needs. Some solutions may be ‘drop in’ while others may require changing the current operational model. Of course, fueling infrastructure requirements must be assessed as well. Finally, a cost-benefit analysis should be performed to help inform the decision. Politics and economics will likely factor into final decision-making. Once the decision has been made, what steps should operators take to ensure a smooth transition when introducing alternative propulsion vehicles into all-diesel fleets? Castañeda: We offer a wide variety of information and tools to ensure customers have a successful experience operating our natural gas engines. This includes driver training material, engine walk-around familiarization, and information on fueling and maintenance of a natural gas fleet. The Natural Gas Academy has many helpful videos covering frequently asked questions – http://www.cumminswestport.com/natural-gas-academy-videos. Our Natural Gas Playbook site contains keys to success and many tools and resource. CWI and Cummins staff are also available to provide guidance and support. Webb: It’s important to identify and engage stakeholders. This means involving your own finance, planning, operations, maintenance and training people. It’s also important to engage other local agencies with jurisdiction over streets, local utility and fuel providers, and emergency responders. Technology suppliers can be important partners in the process as well. Pilot programs are a good way to gain experience and confidence, build awareness and buy-in, and to reduce risk by ensuring that the solutions you’re choosing will meet your service demands. Are there challenges agencies must navigate when converting their fleet to near-zero emissions? If so, what are they? Castañeda: As with any vehicle, following regular maintenance guidelines is important to ensure the performance of the engine. The operation and performance of the ISL G Near Zero is the same as the ISL G that customers are accustomed to, and have enjoyed. The primary difference is a service interval for the new crankcase ventilation filter. The maintenance schedule for your duty cycle can be found at http://www.cumminswestport.com/models. Cummins certified technicians are available to assist with any repairs required outside of regular maintenance. Webb: Cost, infrastructure and refueling logistics, whether in depot or on route, are the first challenges encountered with near and zero emission technologies. Agencies need to carefully consider the challenges of supplying power and know what they will pay for fuel including demand charges. Another challenge is make sure your employees have sufficient skills and training to trouble shoot and service new technology. Do not skimp here. Technical change is another challenge. Battery technology, charging standards and communication protocols are still evolving. Buses have a long useful life, so agencies want to avoid obsolescence. Careful research, smart procurement practices and partnering are some of the strategies agencies use to manage the risks inherent in technology transition. What are the best financing resources for agencies and operators seeking to convert their fleet to near-zero emissions? Castañeda: We recommend operators start by contacting their local Clean Cities Coalition (https://cleancities.energy.gov/) to learn what funding may be available in their region for alternative-powered vehicles. Financial incentives are available in many states for organizations considering alternative-powered vehicles to improve the air quality in non-attainment areas. We also provide some links and information online at http://www.cumminswestport.com/incentives. Webb: The FTA continues to play a major role in funding bus capital, maintenance and operation through the FAST Act which authorized transportation funding through 2020. The Bus & Bus Facilities Infrastructure Investment Program (49 U.S. C. 5339) provides formula funding to replace, rehabilitate and purchase buses. FAST Act also provided a competitive grant program (S.5339 c) for funding low and no emission vehicle purchase or lease. Most states are receiving funding under the VW settlement that can be used to fund low NOx and zero emission buses. Interested agencies should contact their regional FTA office and state DOT office for more information. What is driving innovation and new technology development in alternative propulsion? Castañeda: Many factors contribute to the development of new products in a marketplace. In North America, regulatory agencies have introduced emissions standards to improve air quality and drive the need for cleaner and more fuel-efficient technology. The cost of fuel can also influence the demand for engines that operate on alternative fuels. Natural gas engines allow fleets to operate using an abundant, domestic resource with no compromise on performance or reliability. Advancements in the technology and production of renewable natural gas (RNG) is another way that technology has advanced in response to the need for renewable, clean fuel. Operating Cummins Westport natural gas engines with RNG offers customers near zero greenhouse gas emissions. Webb: For the first time, most of the world’s nations have reached agreement to limit global temperature increases by 2050. Some countries and states are starting to mandate transportation electrification in the next 33 years. These regulations create a marketplace for low and no carbon propulsion technology and favorable conditions for companies to invest in innovation. What will alternative propulsion look like in 5 years? 10 years? Castañeda: We expect to see more natural gas engines on the roads moving people around while contributing to a cleaner environment. Other technologies will continue to emerge and potentially prove themselves commercially viable which will ultimately lead to cleaner air for everyone. Webb: There will be significant increase in demand for low and no emission vehicles. Some agencies will rapidly transition to all electric operation where feasible. Others will seek a more gradual, managed approach. For example, an agency running natural gas might elect to go with electric accessories, a step towards electrification that delivers maintenance savings without abandoning existing CNG fueling infrastructure. Another example might be a traditional diesel fleet that opts to transition to hybrid-electric to immediately achieve significant carbon emission reductions across the entire fleet without having to invest in expensive electric fueling infrastructure. Agencies that have already invested in hybrid-electric technology will probably start to trial zero emission technologies first, including hydrogen and battery electric propulsion.